If you didn’t know yet, flavor is coming back to grapes! Rich flavors. Unique flavors. Candy like flavors. 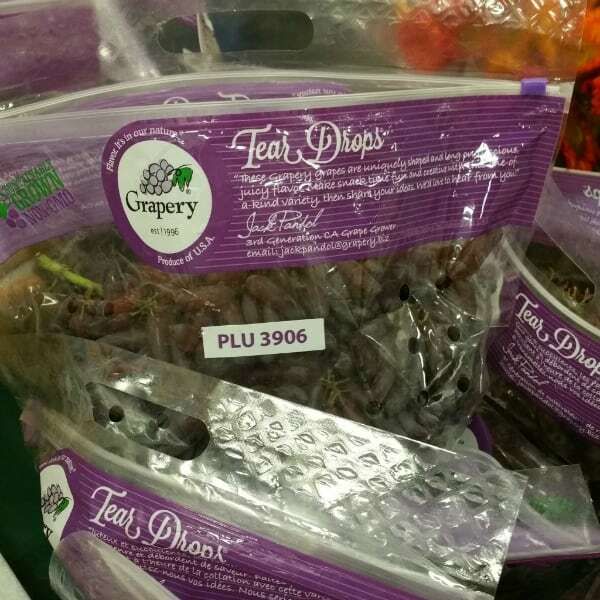 We seeing more and more flavorful grapes are showing up in stores. Go back a decade. Grapes were in a sad state of affairs. You had red and green, and sometimes black. You were lucky if you found a grape that had some real flavor and didn’t just taste like sugar water. For a long time, grape growers were not growing with flavor in mind. Appearance and profitability seem to be the only things that manner. It’s what we saw with apples for years with the Red Delicious. The Honeycrisp came on the scene and the apple industry started considering flavor again. Now I believe we are seeing a revolution in grapes. And it’s about time. At the forefront of that revolution is Grapery. Their partnership with International Fruit Genetics along with their dedication to growing the most flavorful grapes you can imagine has brought us a new generation of flavorful grapes. The wine section is not the only place to get diverse flavors in grapes anymore. 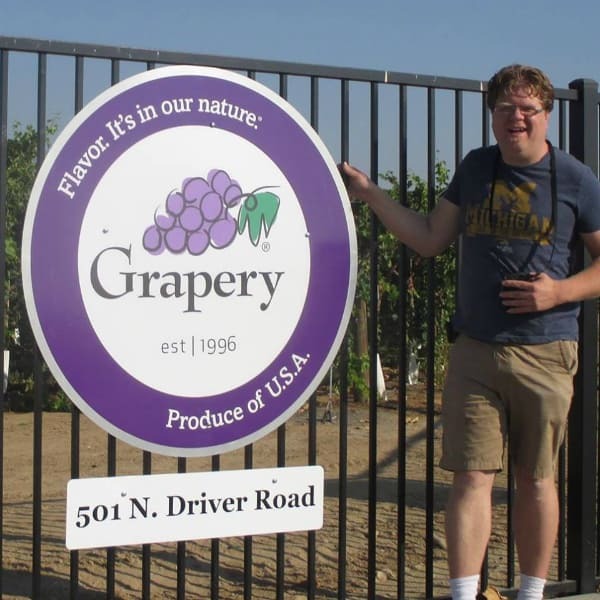 A picture of me from 2016, standing out in front of the Grapery headquarters near Bakersfield, California. What to Expect from Grapery in 2018? I discovered my first grape from Grapery in 2012 (it was their Sweet Celebration grape from their Flavor Promise line). 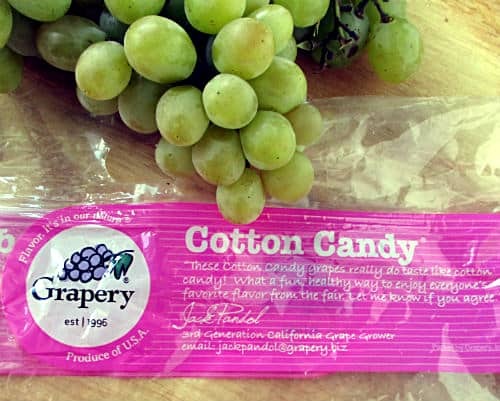 I checked out their website and learned they had a grape that tasted like Cotton Candy. 2013 I experienced them for the first time. Ever since then I have been a HUGE fan of the company. Their passion, their dedication to flavor, the care they show their workers and of course all the amazing varieties they are growing. I have even been to their vineyards near Bakersfield, California, TWICE! This is their most popular. The one that got everyone’s attention and still does. This is where I have to be the bearing of some bad news. This season their is a light crop of Cotton Candy grapes. The volumes of them will be down this year. They won’t be as plentiful as last season. This year you might want to not hesitate when you see them come into stores. Good news is that a new vineyard of Cotton Candy grapes is expected to come into production for the 2019 season. The season runs from about August 10 – September 20. Take note that there are Cotton Candy grapes from Mexico available in the months of June and July. These are not grown by Grapery, but offer you an alternative to wet your appetite. The elongated Moon Drops grapes are one of my favorites of all time. They are also the easiest to find. Better news involving Moon Drops grapes. If you got them last year, you will most likely be able to get them again this year. The volumes are about the same as 2017. 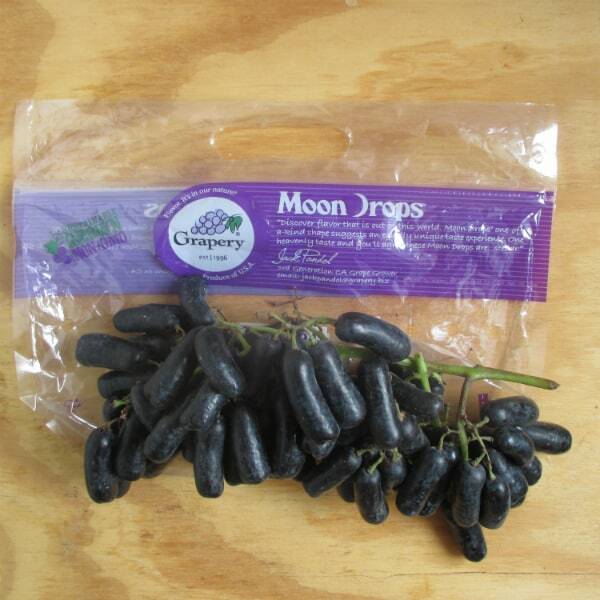 Out of all the Grapery varieties, Moon Drops are the easiest to find and have the longest season. Without a doubt, these are my favorite variety from Grapery. Gum Drops grapes are my favorite type of grape from Grapery. I love them more than Cotton Candy even. They have a such a rich sweet, gummy like flavor that I never tire of. Great news for 2018 – the volume of Gum Drops grapes are up this year. Even better news you won’t have to wait quite as long to get some. They have a new early variety of Gum Drops that will be available in small quantities in mid to late July. So like a month from the writing of this post! You can expect the rest of the Gum Drops to be in season from September 1 – November 1. Keep in mind, availability is limited as the continue to expand production. One of Grapery’s earliest varieties. They have unique shape that gives them a texture unlike any other grape. They were once known as Witch Finger grapes. The grape that was once known as Witch Fingers, but are now called Tear Drops are coming into season around July 20. 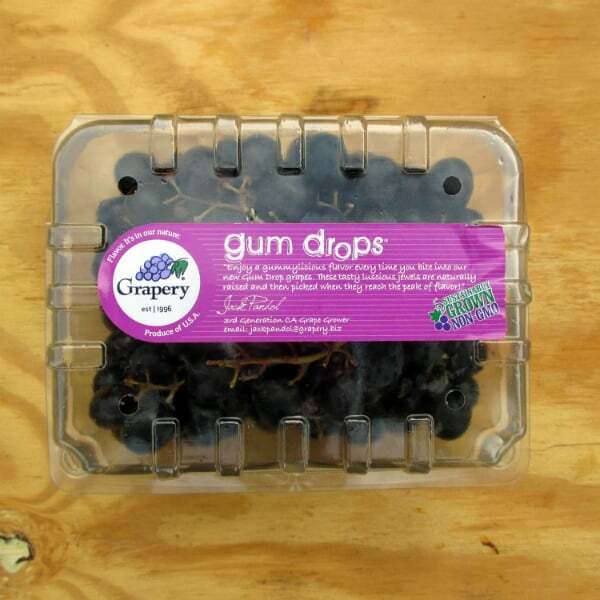 Same story with the Gum Drop grapes production is up but they are still limited. Some news for the future. Grapery has another Tear Drop variety that is green in color. They have been testing them out and expect to plant more next spring with the hope by 2021 to have the first small commercial crop of them. As of now they are only in their trail block of grapes, where they test new varieties. The rarest of rare grapes. 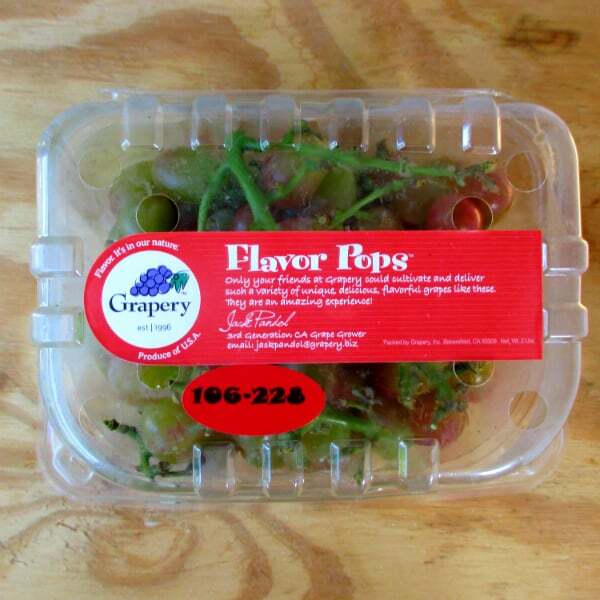 The Flavor Pop line are the grapes that Grapery are testing out. Be a part of naming these unique grapes by contacting Grapery with the number from the bag and what you thought of them. Cool thing about the trail block I just mentioned is that they do share some of those varieties in a very limited manner in their Flavor Pop line. They are extremely limited grapes that are hard to come by. I found them at Whole Food for the first time last season and I have been looking for them in stores for years. This is a great way to get consumer feedback on the grapes. They don’t have individual names but each bag has a number on it. Last season I tried Flavor Pop 106-228. The favor of this grape reminded me of raspberry lemonade. I would love to see it become it’s own variety someday. I can promise you that every grape in this line is going to be full of flavor. Not to be forgotten about is Grapery’s Flavor Promise line. These grapes don’t necessarily have the unique flavors and shapes of some of their other varieties, but they are simply just flavorful grapes. Every grape I have had in this series has been crisp and flavorful. Here are the grapes and their availability time. 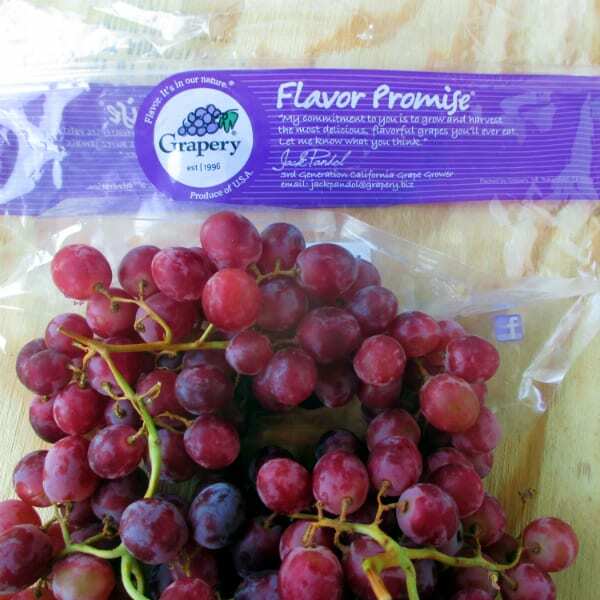 The last 2 seasons, Grapery has added a green grape to the Flavor Promise line. Sweet Globe in 2017 and Sheegnee 21 in 2018. Neither of these have I tried yet, but I have “grape expectations” that they will be good. Want to be in the know about all things Cotton Candy grapes and Grapery? Make sure to sign up for my email list. Just enter your addy below. Sign up to get updates on when Cotton Candy grapes will be in stores and much more. Don’t miss anything going on with Cotton Candy grapes. Sign up our mailing list today! Sign up for the Cotton Candy Grape Mailing List. 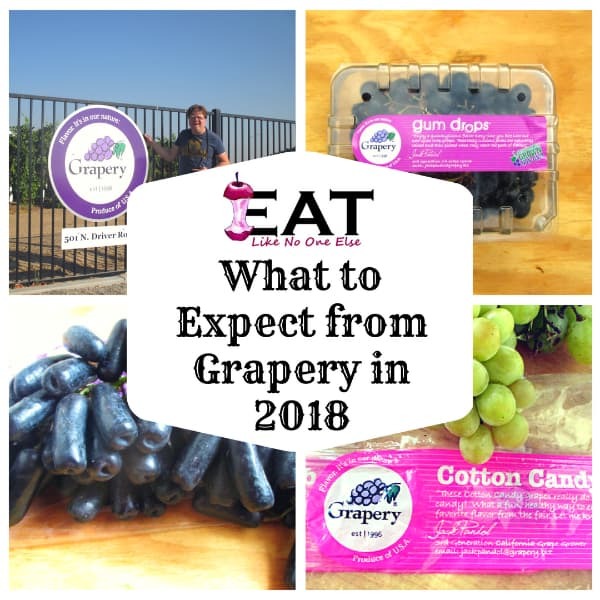 Get all the latest updates on Cotton Candy grapes, and all the other grape goodness from Grapery and other fine grape growers.